As noted back in April last year, many of the good quality, free equity data sources from the likes of Yahoo and Quandl are disappearing. Fumble through backtesting one step at a time with us. Find step by step tutorials, code snippets and reviews with a focus on Tradingview and Backtrader. See our complete range of professional development services. With a track record of working on successful projects, let us help you take care of the technology while you focus on the strategy. 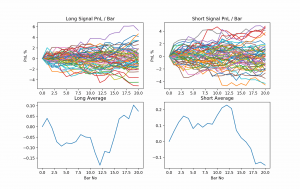 Checkout the performance of some of our live trading algorithms.